Estrella Espinoza Quenallata is 12 years old and in the sixth grade. 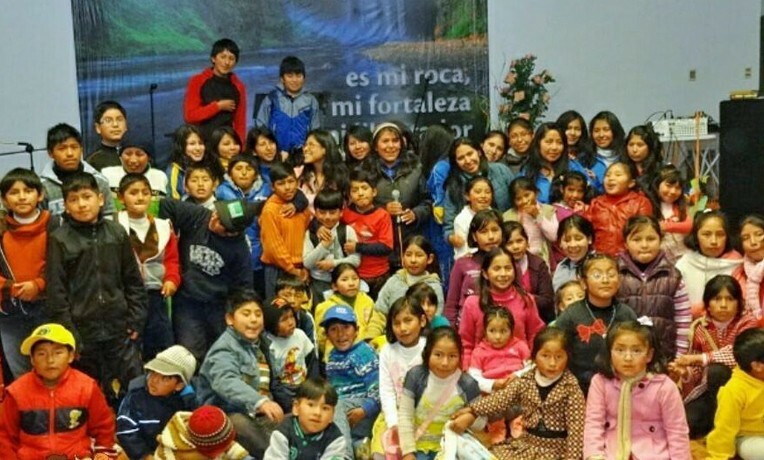 Since March 2015, I’ve been part of the children’s center at La Roca Church. My mom enrolled my siblings and me in the program to help us do better at school. Last year I failed a course, and I had a difficult time learning some topics. I enjoy going to the center. I’m able to do my homework easily because I don’t have the distractions that I have at home. Mr. Erick, a volunteer tutor, taught me mathematics, and I´m grateful because it’s hard to find math tutoring support. I typically go to church on Saturdays, and it’s there that I’ve learned more about God. This has helped me to change my behavior. Before I started going to church, I was grumpy. I used to fight with my siblings, and my mom would get angry with me. I live with my mom and my stepfather as my first dad left home because he’s an alcoholic. Every time he came home, he would beat my mother and yell at my siblings and me. That´s why Mom decided to get separated from him. On the other hand, my stepfather is a good man; he talks instead of yelling, and he doesn’t get angry easily. At the beginning of this year, my stepfather didn’t allow my siblings and me to go to the center on Saturdays. He used to say that church wasn’t important. Now he sends my brothers and me to the center because he noticed the improvements that my siblings and I had at school. My siblings and I used to argue with my mom often, and she would get angry easily. But she accepted Christ at a Mother’s Day celebration at the church, and now she’s a different person. She’s usually the one that takes us to the center every afternoon, and later she picks up my siblings and me to go home. I’m happy because now I can do my homework without any problems, and I pray that God will bring His blessings to my home. I thank God and the children’s center at La Roca Church because I’m doing great at school.